Are you trying to build a website? Getting quotes from vendors? Are you a web designer trying to decide on a CMS software platform? If you answered yes to any of those questions, this article is a must read before you do anything else. 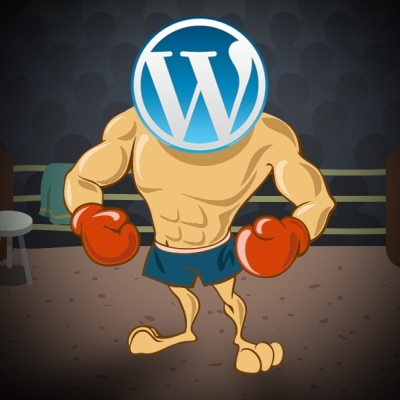 WordPress is usually the front-runner; the 800-pound gorilla. It's popular, but it does have weaknesses. I’d like to explain why we generally steer our clients away from WordPress when it’s actually cheaper for us to make a WordPress site and quicker to deploy (usually). The rest of this article explores the pros and cons of modifying an open source CMS (like WordPress) versus a customized proprietary solution. What is a CMS "content management system"? A CMS gives you the ability to edit the content you see on a website. Common CMS functionality includes: adding blog posts, images, new pages, editing meta tags and URLs. There are open-source (free) and privately-licensed CMS solutions. Features range from extremely basic to fully-featured enterprise functionality. A good CMS is usually web-based and empowers someone with zero programming skills to effectively perform all webmaster duties. It’s free and easy. The vast theme and plugin library, wide developer network, and loyal fan base all contribute to WordPress being the most popular open-source CMS solution. WordPress powers over 50% of the top 100,000 sites online, and 24% of all known websites (http://w3techs.com/technologies/details/cm-wordpress/all/all). The platform gives freelance web designers a lot of independence. WordPress has also been in the market a long time (since 2003) so it’s undergone rigorous testing and improvement. Joomla and Drupal are two popular competitors. Why do CNN, New York Times, TechCrunch, and Mashable use WordPress? If they were to do it over again, I’d have to bet that they’d build it custom from the ground up (just my humble opinion). There are significant development costs associated with recreating a “CNN” clone powered by WordPress. Those development costs outweigh the “ease of use” and “low cost” benefits of WordPress. So, I would caution any layman from choosing WordPress “just because” you saw a popular site using it. The simplest way to explain the difference between open-source and customized proprietary would be to envision a Ford Model-T versus a Rolls Royce. The open source CMS provides you with a blank canvas, i.e., the “Model-T.” It works, has the core functionality you need from a car, four wheels, engine, transmission, steering wheel. That’s about it. You’re not going to be impressing anyone or winning races, but it will get you from point A to point B. You can use it as-is, or upgrade the tires, repaint the car, install a turbocharger, hook-up some A/C for the summertime… you get the point. Upgrading the basic model of a car can get really expensive. Now take the Rolls Royce (custom CMS) for a spin. Every aspect of the car, down to its last detail, is designed just for you. Customized emblems or family crests stitched directly into the leather seats. Matching leather colors to customer lipstick. These customizations may seem outrageous, but it’s exactly the level of customization you can achieve with a customized proprietary Content Management System. Let me give you an example. ConstantContact is one of the world’s most popular email management platforms. ExceedCMS is a privately licensed platform used to create custom CMS solutions. We employed the ExceedCMS team to integrate ConstantContact seamlessly with the client’s backend. This means you can easily manage your mailing lists, templates, and campaigns, right from your ExceedCMS dashboard. There’s NO NEED to ever login to ConstantContact ever again. It works great. User’s are 100% satisfied. Because if they’re not, the ExceedCMS team responds quickly and fixes anything that doesn't function properly within twenty-four hours. Compare this to posting a question in WordPress' help forum and *crossing your fingers* hoping that you get a timely response from a developer that will actually address your issue. While ConstantContact remains popular, its WordPress plugin leaves much to be desired. "never saw a working version of this plugin." "It's disappointing that this is considered an "official" plugin when it doesn't even work. ^Those are the last three (3) comments, and a teaser of what you can expect when going down the WordPress path. And if your plug-in breaks or doesn’t work, your first source of support is the WordPress support forum. Good luck with that. Okay, now you’ve got ConstantContact seamlessly integrated into your CMS. So, you can manage email lists, create campaigns, and even send, straight from your CMS dashboard. What else can you do? What if you want to implement some safeguards, so some intern doesn’t accidentally send an email to your 100,000 member email opt-in list? Maybe you want to add some enterprise level approval: let the editor-in-chief of your organization approve all ConstantContact email blasts before they’re actually sent. This is easy to customize with ExceedCMS. It’s doable in WordPress, but it hacks and bloats the code. It forces WordPress to do something it was not originally intended to do. Given the low-rating of the most popular WordPress/ConstantContact plug-in, I can only presume that the plug-in does not even perform its basic functions very well. you have little to no money, you’re a casual blogger, or run a single-person business. Maybe security is not that important to to you. 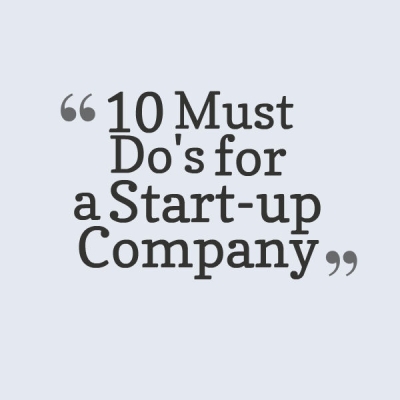 any business that can afford hiring someone else to design and develop their website. If you want functionality beyond blogging, your WordPress site will start looking like Frankenstein. Do you need to sell things (e-commerce)? What if you want to add a site login for your users? Every additional feature is like attaching a new limb to Frankenstein. It's not efficient, won't look exactly right, and may not function as hoped. The whole system is also more susceptible to breaking when pieced together like this. Wordpress can be a great solution for many applications. Let's explore the pros and cons below, and why our developers here at LA Local SEO overwhelmingly choose a custom proprietary CMS over the popular open-source solution. Wordpress is like owning a condo unit inside a large 20-unit multifamily residential building: even simple additions or modifications require complex engineering solutions. You’re very limited to what you can do: meaning you can’t add much outside of your walls. Let’s say you want to knock down all your walls-- that could pose a huge problem given that there are support beams that might topple the whole building if you knock them down. On the other hand, a custom proprietary CMS is like building a home on 5 acres of undeveloped land: you’re free to do pretty much whatever your mind imagines-- because it’s your land and you’re not bound by any constraints (other than city zoning laws). You can add rooms and whole stories at will. You could build 2 barns, or 3 barns. Build a 10 car garage, if that’s what suits your fancy. Construct a 100-yard driveway lined by real diamonds instead of rocks. That might be over the top, but you get the point. How efficiently can the CMS be built to fit your business needs? Because of the vast theme library, Wordpress can still resemble a "finely tailored suit" for most intents and purposes. Building a custom website with WordPress backend will still, however, require designer and programmer assistance. A proprietary CMS solution makes things simpler for all parties involved: webmaster, business owner, company staff, end user. The tradeoff here is that a custom solution will always take a longer lead-time for development. With a custom solution, anything goes. Anything imagined can be built. With WordPress, the web designer is forced to work with a template on both the front and back end. 3rd-party integrations will be easier with the custom CMS (though it will take longer to integrate). Since WordPress is built to be universal, it inherently contains bloated code in its core DNA. When considering load time of individual pages, WordPress ends up hoarding an overhead of resources because it is written to cover a wide-range of different applications. It’s kind of like using an 18-wheeler big rig just to transport 1 or 2 passengers. Just backing out of the driveway takes all day long. Go load any WordPress site and see how long it takes. A custom CMS enables your site to be as blazing fast as possible. It’s designed to do what you need it to do, and nothing more. Therefore the code is minimized, and page speed is maximized. A CMS customized proprietary solution tailored for a specific business will always be simpler to use than forcing a generic platform onto an existing business. With a proprietary CMS, the user will only see what the user needs to see. All unnecessary functionality will be obliterated from the code, thus leaving the user with a clean, simple, easy to use interface. An average Wordpress responsive site should cost around $4k-$5k plus $10-to-$20/month hosting fees. You still need to budget for a webmaster or developer for minor maintenance and updates. On the lower-end you can get a WordPress site up-and-running for $1,000 or less, but will it look professionally polished? Custom proprietary CMS sites usually range from $7,500-to-$10,000 and up. Some projects require more up front planning time before the design team is even mobilized. You wouldn't start out building a house without blueprints would you? (I hope not) If you find your developer skipping steps to save costs, you might also consider the long-term consequences: it could end up costing a lot more to fix something down the line than investing the proper time in the planning stage. One last unforeseen cost which inevitably creeps into many WordPress sites concerns fixing broken plugins. What happens when something breaks? In the best case scenario, the fix might take a developer one hour to fix. Or, it could take several hours to fix. Potentially, it’s unfixable on your end because the bug lies within the plugin’s own source code. When planning for costs down the road, going with a custom proprietary hosted solution mitigates many of the hidden costs associated with running a WordPress site. Your monthly license/support fee covers updates for bugs, security, and enhancements. It’s also difficult to quantify what “peace of mind” is worth. Assurance that your website works and is secure: it’s a responsibility that many business owners prefer to entrust with a professional agency than handle in-house. WordPress gets the obvious nod for lower upfront cost. However, I think there’s a good case to be made that WordPress can end up costing more over the long run depending on the specific business application. And, since long-term costs are difficult to quantify in tangible terms today, I’m scoring it a tie. No CMS is 100% secure, but the vulnerabilities of WordPress are well documented. A huge vulnerability affecting all WordPress users was recently discovered just last month: http://venturebeat.com/2015/07/23/wordpress-issues-critical-security-release-to-fix-vulnerability-that-couldve-exposed-websites-to-hackers/ . The benefit of open-source software tends to also be its Achilles Heel: everyone has the code. Thus, it's easy to improve the code, but just as easy to hack the code for malicious purposes. WordPress sites become a popular target because once a vulnerability is discovered on one site, it becomes a vulnerability on all WordPress sites. Don't get me wrong though. WordPress is secure to a certain degree (as long as your developer installs regular updates), but it's just constantly under attack. Do you accept customer information? Credit card info? Then security should probably be important for you. Custom CMS wins in regards to security of information. Only the in-house developers have access to the core code, so the ability to hack it is exponentially reduced. Most open-sourced solutions do not provide hosting while it is common for custom CMS solutions to include monthly hosting and support. This is not a deal breaker by itself, but it is an important detail to be aware of. WordPress will allow you to host your website anywhere, whereas you'll have to use whichever host your CMS provider uses. Because of the flexibility here, WordPress gets Round 7. One of WordPress’ great draws is the massive theme and plugin library, with a vast majority being free. This empowers all WordPress sites with a virtually infinite amount of functionality. Most plug-ins can be installed with minimal programmer help. Whether the plug-ins actually work as advertised is another issue. Alternatively, a custom proprietary CMS will only provide the functionality that was initially engineered. Any add-ons will have to be custom built by hand. If a custom CMS site takes 1 week to build, the same WordPress themed site could launch in 2-3 days. If minimal functionality is needed, Wordpress will always be faster to implement. With either a modified Wordpress or custom CMS build, the more functionality and integrations required will extend development time. The winner at first would appear to be the open source WordPress. However, we have in the past encountered a scenario where a simple WordPress plug-in (involving mouse-over/roll-over effects) broke the WordPress site and held up the site launch for over 2 weeks, until in-house developers were able to communicate with the plug-in developers to resolve the issue. This type of “hostage” scenario is very common when developers add and combine multiple plug-ins onto open-source themes. Since businesses rely on deadlines and deliverability, the riskiness of using WordPress plug-ins outweigh its initial lead-time advantage. It is difficult to award a clear winner in this category. Custom CMS developers generally offer in-house dedicated support for a monthly fee. Translation: this means your issue is almost guaranteed to be resolved within 24 hours. WordPress is free to download, but you’re on your own after you download it. Even with WordPress, you still need a developer to perform scheduled updates and bug fixes. The great thing with WordPress is the huge developer network. It shouldn’t be difficult to find a WordPress developer for an affordable price. With a custom built CMS solution, however, your support is limited to the small development team who built your CMS solution. No matter how good your developer is, if a WordPress plug-in malfunctions, you are “up a river without a paddle,” so to speak. You’re at the behest of the plugin’s developer, who may or may not be around for support. So even if you’ve got a million WordPress developers at your disposal, it’s possible that none of them are able to solve your specific problem. With a proprietary CMS, you have a dedicated team of programmers whom you hire (in the form of monthly licensing fees) to fix any problem you have. The risk here is that submitting a help request might mean waiting in line behind the other customers that have already submitted a ticket. If it’s a complex issue, the team might not have time to work on it right away. It almost seems obvious that WordPress wins this one outright with its ubiquitous network. However, it boils down to preference: either 1)lots of choices but no one has outright responsibility or 2)limited choice with dedicated support. We’ll let you decide this one and leave it as a tie. Choosing a custom hosted CMS platform creates a permanent dependency with your agency partner. Since their developers are the only ones who possess and know the code, they are the only ones who will be able to alter the programming and functionality. With WordPress, you can take your whole site and functionality with you to another developer. 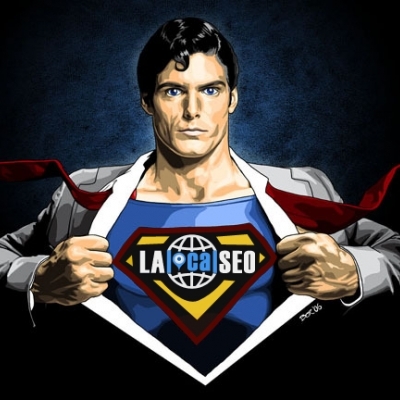 Since SEO is our specialty, we saved this consideration for last. The best time to start thinking about SEO is BEFORE you start building the site, not afterwards, as people commonly do. SEO considerations start with your CMS. ^Those are absolute necessary features of any CMS I would even consider recommending. What if you want to go beyond what Yoast offers though? You’ll still need a developer. With a custom proprietary CMS solution, your imagination is the only restriction. A custom CMS could offer the ability to scan for and alert webmaster of duplicate meta tags and content-- a feature that we’ve actually employed ExceedCMS to build for many of our clients. Even though we would all probably prefer driving a “Rolls Royce” if money weren’t an object, the reality is that money often is a very important factor when making real life decisions. The good news is that the CMS “Rolls Royce” doesn’t cost ten times its “Model-T” counterpart. All things considered, it is only slightly more expensive to develop a custom proprietary CMS versus a modified WordPress Theme; however we think this additional up-front cost is negligible when weighing all the long-term benefits. Your CMS is the foundation of your online house. Although you could save a few pennies by using the cheapest materials (instead of concrete) and the cheapest contractors (instead of licensed professionals), you would also probably be spending a lot more money in the future fixing a cracked foundation. Of the 13 Factors considered when evaluating a CMS software solution, it’s 7 to 2 (and 4 ties) in favor of the custom proprietary solution. The two major categories where WordPress wins outright is Freedom and Themes & Plugins. Thanks for reading this all the way through! We’d love to hear your input. Are you a diehard WordPress fan and have a good reason that you always use it? Please tell us why!